Ashley Carlson was born and raised throughout rural south Idaho. 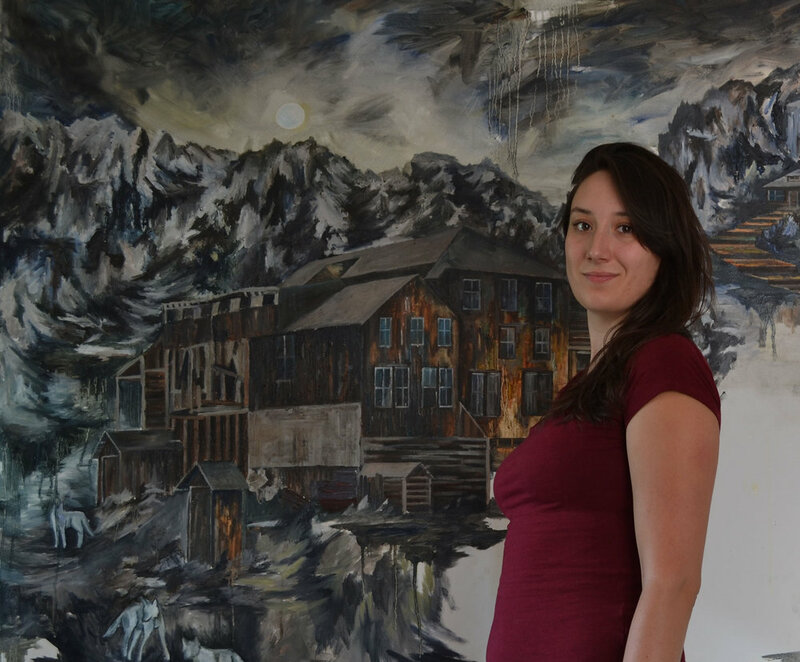 She received her BFA, with an emphasis in painting and drawing, from Boise State University in 2016. Her artwork depicts rural, often surreal, landscapes and explores ideas of isolation, technology within rural space, anonymity and nostalgia. Ashley has exhibited at the Boise Art Museum. She currently lives and works in Boise, ID.